A contrast of purity and sensuality, Issey Miyake L’Eau d'Issey Pure Nectar captures the scent of a dewy bouquet in full bloom. 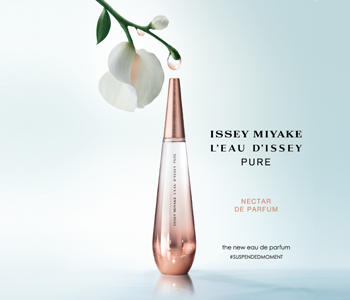 This new chapter in the Issey Miyake Pure fragrance story is full of optimism, weaving an uplifting tale of sweet rose, sticky pear and creamy, enveloping sandalwood that takes your breath away. The woman who chooses to wear the Nectar Eau de Parfum will adore its combination of sultry and refined tones; it's a fragrance that will effortlessly take you from day to night, season to season.